Last Friday midnight, I went to my favorite 24hrs convenient store to get something to eat. 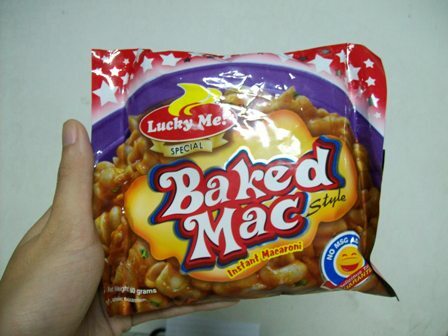 I discovered the Lucky Me Baked Mac Instant Macaroni product. Since I am a fan of their Instant Spagetti, I decided to give this one a try and Lucky Me! This is a good find!